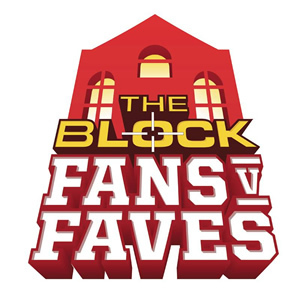 The eighth season of the block is now over and all four teams made off with ridiculous amounts of money. Where you happy with the way things went at auction? This series has been one of my favourites thanks to Brad and Dale and the Super Ks. It was also one of the least favourites thanks to Steve and Chantelle and the twins. I watch the block because I love watching rooms come together, but I constantly get annoyed watching the bickering between teams or contestants. I got used to it with the twins in Sky High and I was okay with their win because they did make a killer apartment, but I honestly didn't even think Steve and Chantelle's apartment was going to sell, let alone win. Oh well, it's the luck of the draw sometimes. In all reality, the auction went in complete reverse order to how I had hoped. I would have been very happy to see either Brad and Dale or the the Super Ks winning, and then the Twins in third and Steve and Chantelle running last. I think it is a paradox really. You see all the ranting and raving during the building process and then crocodile tears at the end. Not sure about the winner, however to complete a house like that - everyone is a winner! Community Season 5, are you ready?